With Labor Day over, fall is in sight, but heat and humidity this week makes it feel closer to July than pumpkin-flavor-everything season. 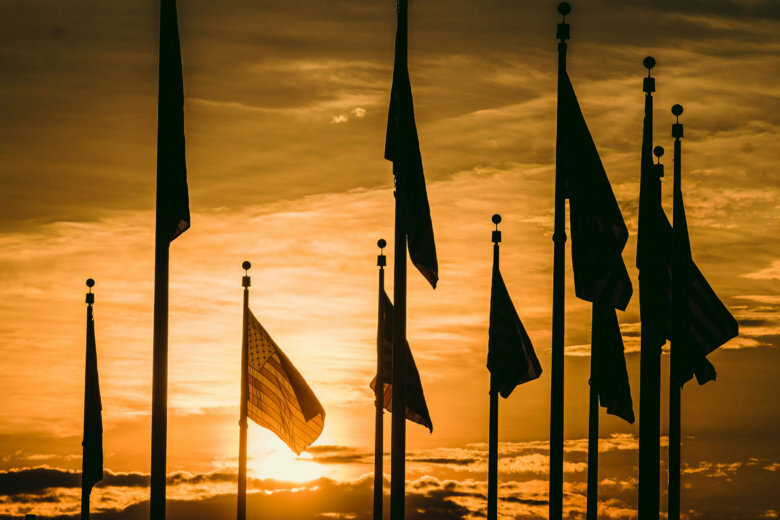 WASHINGTON — With Labor Day over, fall is in sight — but heat and humidity this week makes it feel closer to July than pumpkin-flavor-everything season. Temperatures will continue to sizzle throughout the workweek, said Storm Team 4 meteorologist Steve Prinzivalli. Tuesday is expected to be hazy, hot and steamy, with highs in the lower to mid 90s. The heat index will be near 100, or maybe even climb over, Prinzivalli said. 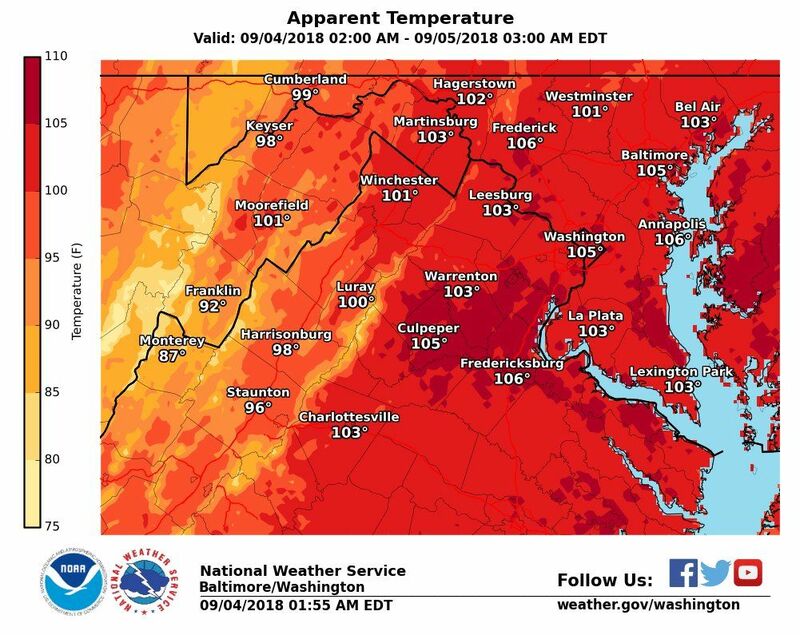 The National Weather Service has issued a heat advisory for the entire D.C. metropolitan area, anticipating dangerous heat and humidity from noon to 7 p.m. on Tuesday. 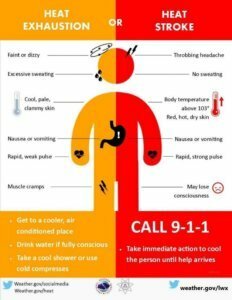 The D.C. government activated its heat emergency plan on Labor Day, and with continued humidity expected Tuesday, residents are advised to avoid excessive heat by drinking plenty of water, avoiding outdoor activities such as sports and gardening, and wearing light-colored clothing together with a hat and sunscreen. A week of unseasonably high temperatures drags on with Wednesday’s weather expected to be similar to Tuesday’s. But, relief may arrive near the end of the week. A cold front on Thursday could finally bring cooler temperatures into the area, with highs on Saturday and Sunday dropping to the low to mid 80s. Tuesday: Mostly sunny, hot and muggy; chance of an isolated PM storm. Highs: Low to mid 90s. Heat index: 100 to 105. Wednesday: Continued sunny, hot and steamy. Highs: mid 90s. Heat index: 100 to 105. Thursday: Partly cloudy, hot and muggy, with the chance of late-day storms. Highs: Low 90s. Heat index: 100 to 105.